I suppose it had to happen sooner or later, and it appears they have finally brought "Allah" into the 419 scam. I've only recently been receiving such emails, and as you know, I've read hundreds. Much like the Sadams Millions scam, this one is likely a product of the well publicized Middle East conflict. Salam Alaikum my dear friend. Peace of the Almighty Allah is with you as you read this. Well, I don't want you to feel sorry for me, because the holy book made us to understand that there is a day when we shall gather from every nation a multitude of those who disbelieved our revelations; then they shall be arranged in classifications according to their merits. My name is Aishat Zenab a Malaysia Crude Oil merchant in London, I have been diagnosed with Esophageal cancer. It has defied all forms of medical treatment, and right now I have only about a few months to live, according to medical experts. I have not particularly lived my life so well, as I never really cared for anyone (not even myself) but my business. Though I am very rich, I was never generous, I was always hostile to people and only focused on my business as that was the only thing I cared for. I regret all this as I am a new Muslim convert. I have been made to understand that there is more to life than just wanting to have or make all the money in the world because. 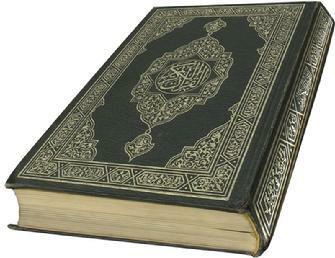 The holy Quaran says " Righteousness is not whether you turn your face towards East or West; but the righteousness is to believe in Allah, the Last Day, the Angels, the Books and the Prophets, and to spend wealth out of love for Him on relatives, orphans, helpless, needy travelers, those who ask for and on the redemption of captives; and to establish Salah (prayers), to pay Zakah (alms), to fulfill promises when made, to be steadfast in distress, in adversity, and at the time of war. These people are the truthful and these are the pious. (2:177)"
I believe when Allah gives me a second chance to come to this world I would live my life a different way from how I have lived it. Now that he has called me, I have willed and given most of my property and assets to my immediate and extended family members as well as a few close friends. I want Allah to be merciful to me and accept my soul so, I have decided to give alms to the preaching of the holy word of the Quran as I want this to be one of the last good deeds I do on earth. So far, I have distributed money to some Islamic organizations in Malaysia, Nigeria, Iran, Algeria, Pakistan and Cote D’ Ivoire. Now that my health has deteriorated so badly, I cannot do this myself anymore. I once asked members of my family to close one of my accounts and distribute the money which I have there to charity organization in Iraq and Afghanistan; they refused and kept the money to themselves. Hence! , I do not trust them anymore, as they seem not to be contended with what I have left for them. I need assistance to continue this work on my behalf. I need this money to be used in funding young Islamic scholars, orphanages and widows propagating the word of Allah and to ensure that the house of Allah is maintained. To care for the sick, the poor, the downtrodden wherever they may be. The Quran made us to understand that " Rest assured that Believers (Muslims), Jews, Christians and Sabians - whoever believes in Allah and the last day and perform good deeds - will be rewarded by their Rabb; they will have nothing to fear or to regret". I took this decision because of the betrayal I have gotten from my relations. Though the internet is a seemingly unlikely place to find such individuals, I believe that Allah hides jewels (good momins and mominas) in the most unlikely places. For what harm would they have suffered if they had believed in Allah and the Last Day and spent in charity out of what Allah had given them? Allah knows them all. (4:39). I have set aside 30% of the total money for you and for your time from my heart. I will send you a copy of my present picture here in the hospital once I hear from you. I shall issue to you the papers (prepared will and power of attorney) in your acceptance so that the fund can be released to you by the Diplomatic/Security Agent in Cairo Egypt. I also request that you kindly forward to me your letter of acceptance, YOUR FULL NAMES, CURRENT TELEPHONE AND FAX NUMBERS AND A FORWARDING ADDRESS so that I can write a letter of authorization to the Diplomatic/Security Agent in Cairo Egypt and present you as my rightful beneficiary. Also the Diplomatic/Security Agent in Cairo Egypt has informed me that your presence will be needed for the fund release to take effect in Egypt without much delay. I shall go ahead and give you his details and the necessary document including my photograph once I hear from you. May the almighty Allah be with you. I am Mrs. Maya Halim from South Africa, married to Alhaji Azim Halim who was until his death an exporter of antiquities based in Cote d'ivoire, we were married for eleven years without a child. He died after a brief illness that lasted for only two weeks. Before his death we were both faithful Muslims. Since his death I decided not to remarry or get a child outside my matrimonial home which the holly Quaran is against. When my late husband was alive he deposited the sum of ($5.8 Million U.S. Dollars) in one of the security company here in Abidjan capital of Cote d'ivoire. Recently my doctor confirmed to me that I have serious sickness which is cancer problem. The one that disturbs me most is my stroke sickness. Haven known my condition I decided to donate this money to an Islamic institution or individual that will utilize this money the way I am going to instruct herein. I want a muslim that will use this money for orphanage homes, hospitals, mosque, schools, and propagation of the word of the mighty Allah and to endeavour that the house of almighty Allah is maintained. The holly Quaran made us to understand that Blessed is the hand that gives. I took this decision because I don�t have any child that will inherit this money and my husband relatives are not Muslims and I don�t want my husband�s effort to be used by unbelievers. I don�t want a situation whereby this money will be used in an unGodly way. This is why I am taking this decision. I am not afraid of death hence I know where I am going. I know that I am going to be in the bosom of the almighty Allah. As stated in the holly Quaran (Surah xxxvi Yasin) Thou wariest only him who followeth the reminder and feareth the beneficent in secret to him bear tiding of forgives and a rich reward. I don�t need any telephone communication in this regard because of my health hence the presence of my husband�s relatives around me always. I don�t want them to know about this development. With almighty Allah all things are possible. As soon as I receive your reply I will direct you on how this vission will be realised. I want you and the Islamic institution to always pray for me because the almighty Allah is my shepherd. My happiness is that I lived a life of a worthy Muslim. Whoever that wants to serve the almighty Allah must serve him in spirit and truth. Please always be prayerful all through your life. Any delay in your reply will give me room to sourcing another Islamic institution or a good muslim for this same purpose.